The nervous system is a critical part of the human body. It is responsible for transmitting messages to the brain about external stimuli, such as heat, cold and pain. A healthy nervous system may help prevent a variety of neurological diseases, such as Alzheimer's and Parkinson's disease. According to Dr. James Balch and Phyllis Balch, authors of "Prescription for Nutritional Healing," certain vitamins and foods may help heal nerve endings. Contact your doctor before adding vitamins or foods to heal nerve damage. Vitamin B6, also known as pyrodoxine, is necessary for proper functioning of the nervous system, according to Dr. James and Phyllis Balch. This vitamin may also help protect and heal nerve endings in the skin, brain and other areas of the human body. 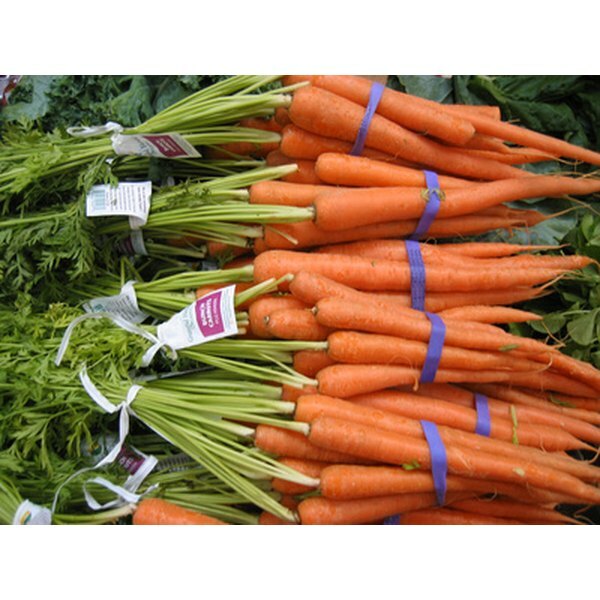 Vitamin B6 is found in foods such as carrots, fish, eggs, spinach, whole grain products and sunflower seeds. According to the National Institutes of Health, vitamin B12 is essential for maintaining the health of the nervous system. This vitamin, also known as cobalamin, is thought to help prevent and correct nerve damage. Vitamin B12 is also necessary for the production of acetylcholine, which aids in transmission of information from the nerve endings to the brain. This vitamin is found in dairy products, shellfish, liver, eggs, poultry and fish like tuna, haddock, salmon and trout. Vitamin B1, also known as thiamine, is necessary for the metabolism of carbohydrates, formation of red blood cells and proper digestion. This vitamin is also needed for the repair of nerve damage and the protection of nerve endings from damage caused by free radical molecules and toxins, according to the Balches. Vitamin B1 is available from brown rice, peanuts, pork products, asparagus, fish and beans.